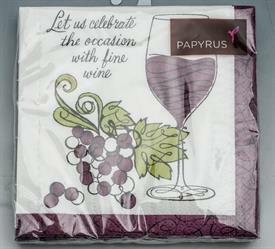 Papyrus Partyware, Gifts & Cards for sale affordable pricing ! 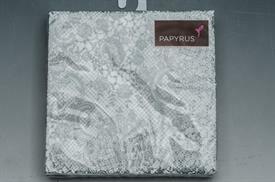 Silver Lace Design. 5"X5". 20 Count. 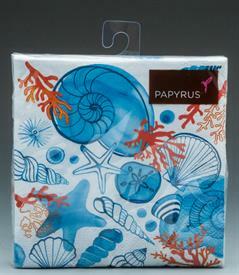 3 Ply Biodegradable Paper. 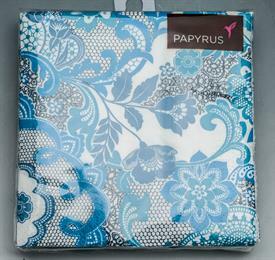 Blue Baroque Design. 5"X5". 20 Count. 3 Ply Biodegradable Paper. Coral & Seashell Design. 20 Count, 5"X5". Printed With Water Based Ink On 3-Ply Biodegradable Paper. No Chlorine Was Used In The Bleaching. Gold Lace Design. 5"X5". 20 Count. 3 Ply Biodegradable Paper. Blank-Gold Foil Embossed Pink & Purple Cards. Includes 16 5"X3.5" Blank Note Cards & Lined Envelopes. 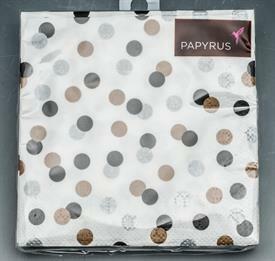 Gold & Black Dot Design. 5"X5". 20 Count. 3 Ply Biodegradable Paper. Wine Glass With Quote Design. 5"X5". 20 Count. 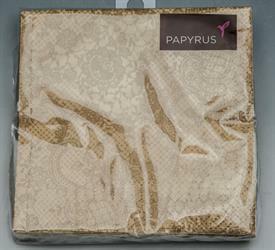 3 Ply Bio Degradable Paper. Thank You-Classic Thank You Notes For Any Occassion With Blank Inside. Includes 16 5"X3.25" Note Cards & Lined Envelopes. Thank You-Gold Foil Embossed With Purple, Magenta & Turquoise Flowers. Includes 16 5"X3.25" Thank You Note Cards & Envelopes. Blank Inside. 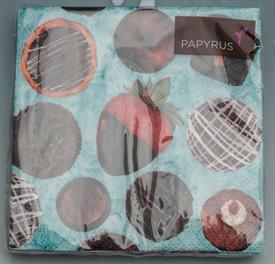 Chocolates Design. 5"X5". 20 Count. 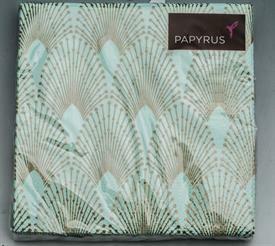 3Ply Biodegradable Paper. Blank-High Heel Design Blank Notecards With Keepsake Box. Includes 12 5"X5" Notecards & 12 Lined Envelopes. 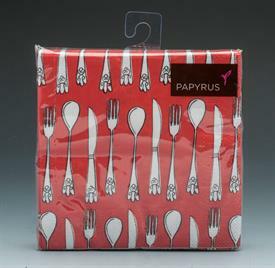 Flatware Design. 5"X5". 20 Count. Printed With Water Based Ink On 3-Ply Biodegradable Paper. No Chlorine Was Used In The Bleaching Process. Blank-Gold Foil Embossed With Flowersblank Note Cards. 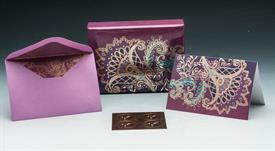 Includes 25 5"X3.75" Note Cards And 25 Envelopes. Comes In A Notecard Box. 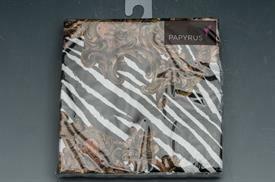 Gold Baroque/Zebra. 5"X5". 20 Count. 3 Ply Biodegradable Paper. Arch On Blue Design. 5"X5". 20 Count. 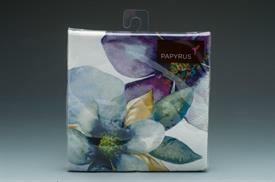 3 Ply Biodegradable Paper.